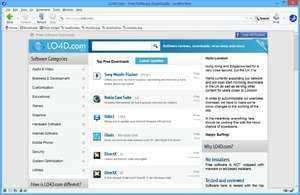 SeaMonkey is a suite of Internet tools including a Gecko-based web browser, an email and newsgroup NNTP client and an IRC client which has many of the largest networks pre-configured. The application is broadly based on other projects by the Mozilla project including the popular Firefox browser and the Thunderbird email client. One thing SeaMonkey lacks, however, is the sleek interface of Firefox and Thunderbird. With its underlying source code being very similar to Firefox, the SeaMonkey web browser is fully compatible with modern Firefox plug-ins and extensions. Version 2.49.4 is a freeware program which does not have restrictions and it's free so it doesn't cost anything. For security reasons, you should also check out the SeaMonkey download at LO4D.com which includes virus and malware tests. Additional screenshots of this application download may be available, too. SeaMonkey download been highly rated by our users.